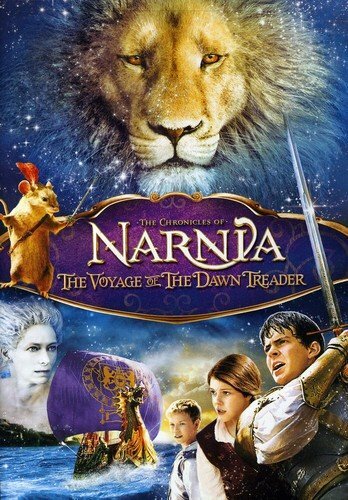 Lucy and Edmund Pevensie return to Narnia with their cousin Eustace and share adventures with Prince Caspian and his crew as they sail on the Dawn Treader. Return to the magic and wonder of C. S. Lewis epic world in this third installment of the beloved The Chronicles of Narnia fantasy-adventure series. When Lucy and Edmund Pevensie, along with their cousin Eustace, are swallowed into a painting and transported back to Narnia, they join King Caspian and a noble mouse named Reepicheep aboard the magnificent ship The Dawn Treader. The courageous voyagers travel to mysterious islands, confront mystical creatures, and reunite with the Great Lion Aslan on a mission that will determine the fate of Narnia itself!